It was a Saturday well spent, at Everdale Organic Farm. Their Annual CarrotFest was this afternoon. Although the sky threatened rain at the start, within an hour the sun was out and everyone was in good spirits. Our first order of business was to take a tour of "Home Alive", the on-site inhabited permaculture example, which I have been wanting to visit for a long time. 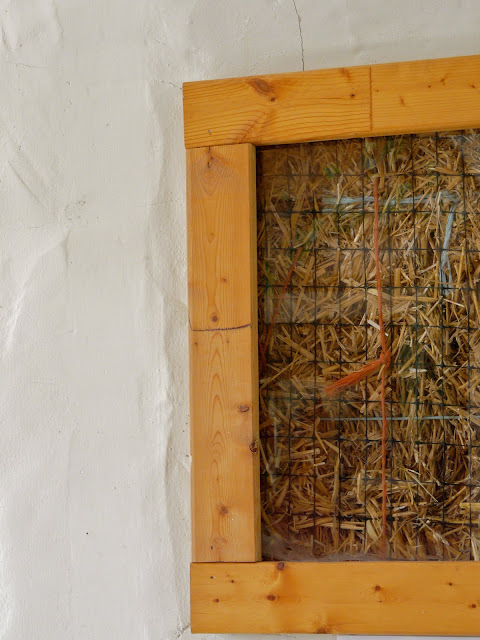 I have wondered, in the past, about the efficiency of a straw bale home in a winter climate such as ours. This home has stood successful, and sufficient for several years. 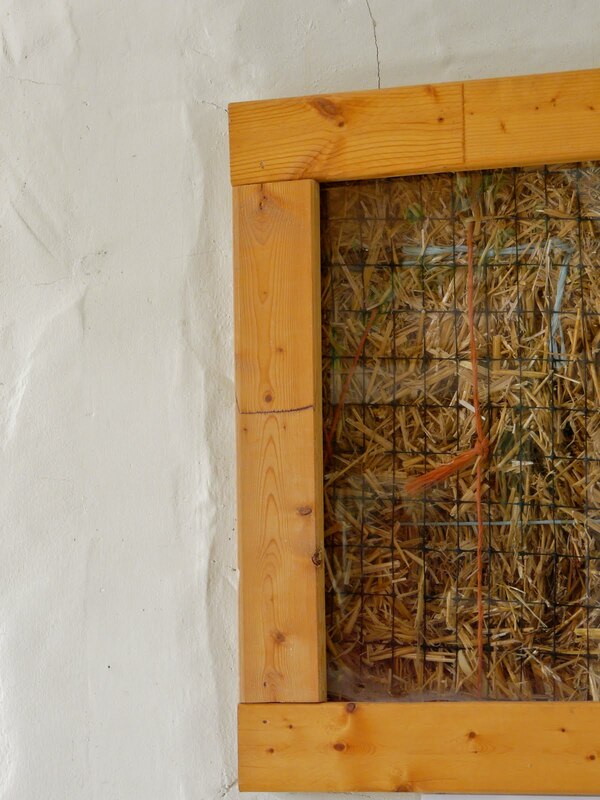 The above photo, was taken inside the home where you can take a peek at what lay underneath the three layers of plaster. We enjoyed homemade burgers, and fresh carrot & orange juice. 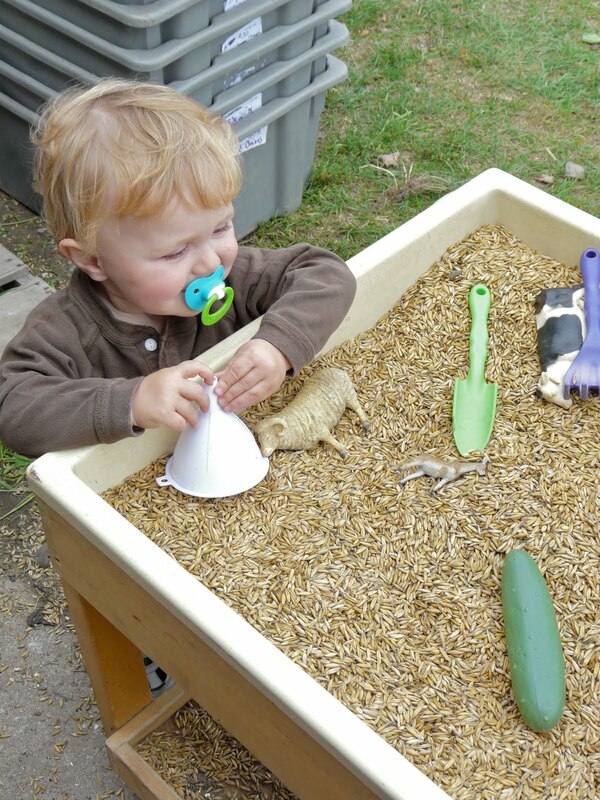 We played in their big sand pile and their play box of grain, listened to live music, and browsed the farm store. Next year, when our little one is a little bigger, we'll join in a craft, some bread baking, and all the other fun things on offer at the farm. Looking forward to it! At the end of it all we came home with a sweet pile of tasty, fresh, organic veg. which made for an awesome dinner of a Jim special (homemade pot of soup) and a fresh salad. Oh yes! I can't forget the tasty Mahem bar that I bought at the farm store and finished devouring just minutes ago. These little chocolate, maple syrup, & hempseed treats are seriously amazing. They are made in Southern Ontario, so if you live anywhere there they probably sell them at your local health food store. If you don't live here but plan on visiting, put it on your list of things to do!